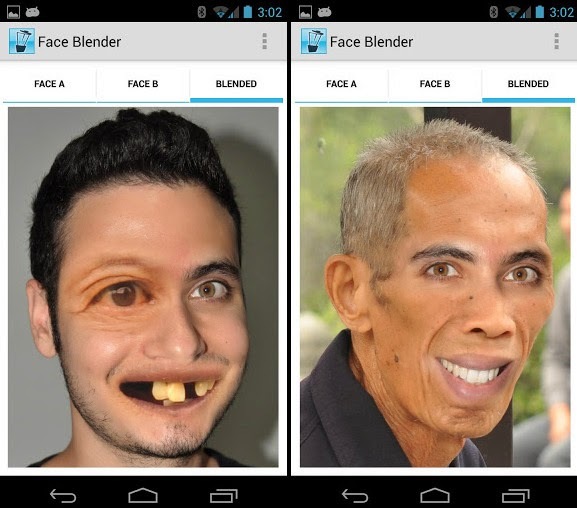 Face Blender is the Best Android Fun App for blending Faces! Use your camera to take two pictures of different faces or pick images from your photo gallery. Press the "Blend" button to blend them together! The result is a funny mixture of both faces. 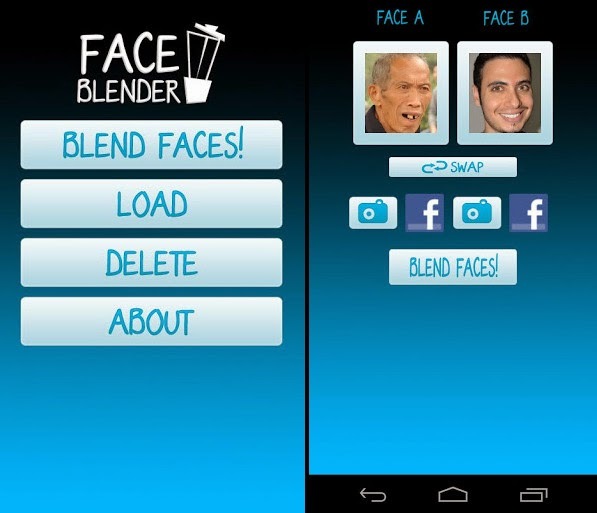 If face detection goes wrong, you can manually adjust your blended face by pressing the menu button and selecting "Edit Blend".